Returning to Lezayre for Thursday evening’s practice, with the promise of better weather than the previous night, there was still the threat of rain in the air when I arrived. Lezayre is an eye-wateringly fast section of the circuit. 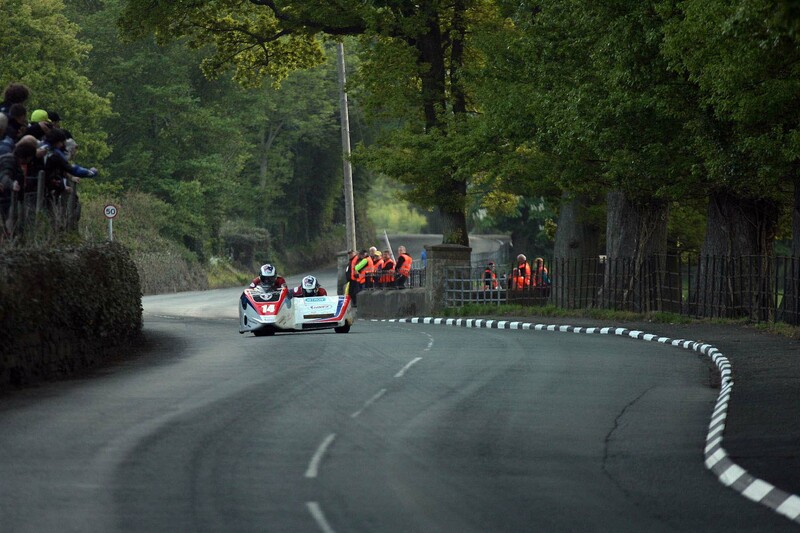 It is on the run towards Ramsey, and is the most northernly section of the circuit. 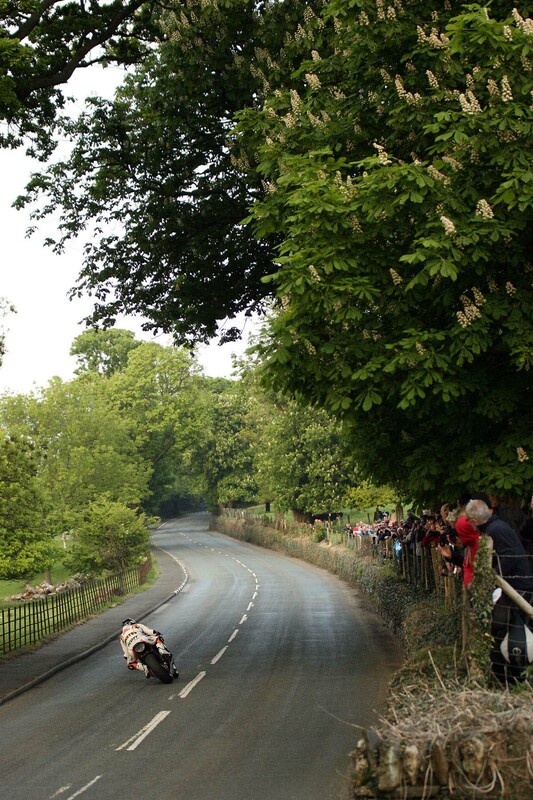 Also known as the Conker Fields or “K” Tree, the riders wrestle with the bike as it rears it’s front end towards the heavens on a left-handed, fifth-gear kink. To give you an idea of the “K” Tree’s challenge, skip to 1:10 on this video to see Dan Kneen in full-flow through there. Despite the rain holding off, tonight was another challenging session to shoot, as the ever-fading light under the trees made it increasingly difficult to track the riders with the autofocus on both of my camera bodies. Quite an issue when riders are travelling at speeds easily approaching 150 mph!